Recently, to change the gradually worse situation of internet information safety, Baidu used its own advanced technology promote an action that ‘clean the internet’. They have did their best to stop the steal of users’ personal information in internet black market. Nowadays, the automatic inspection and processing are working very well, when the system find the illegal code inside the business account, the problem account will be off-line directly. Recently, to change the gradually worse situation of internet information safety, Baidu used its own advanced technology promote an action that ‘cleat the internet’. They have did their best to stop the steal of users’ personal information in internet black market. Based on the news, this action are worked by many different department inside Baidu, like Baidu search company, Baidu safety and so on. The internet are cleaning by the newest machine identify technology and big data analysis technology. The promotion of this active is for the safety of netizen’s privacy and lift the user experience. Recent two years, the booming of internet black market chain has shown the low cost, high technology and high returns. It threatened the property and personal information safety of netizens. At the same time, this situation impeded the development of internet. 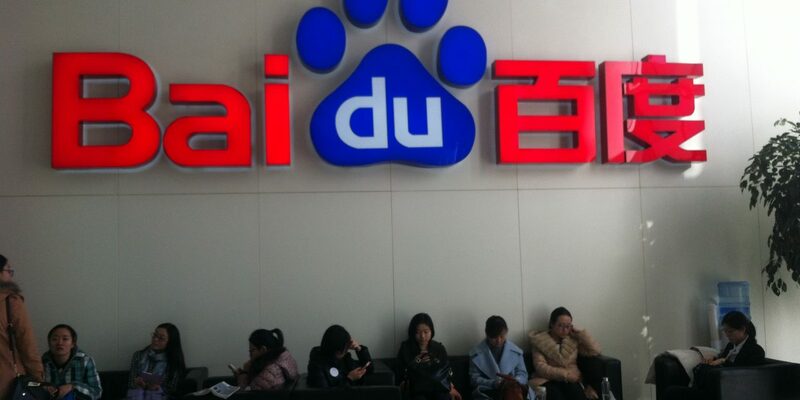 The crack down of black market is fully used the technology strength of Baidu itself. They have bit the black market very precisely, the accuracy is nearly 99.5%. Trough some big data technology, like the learning of machine, data digging and so on, Baidu could do the real-time inspection of the ‘dim’ processing made by promoting company website, especially the malicious code. When the website are found that they are using malicious code, they will be forced to off-line immediately. As a technology company whose strength is technology, the marketing promotion and inspection process are automatically based on artificial intelligence in Baidu. Apart from that, the system in Baidu could keep on testing if there is malicious acts inside websites, like users information collection, leak of user privacy, threaten user property safety and so on. This system is developed based on deeply learning technology. The website will be punished at the first time when the system find its abnormal acts. Compare to the manual inspection, the automatic system avoid the exchange of power and benefits. You could say automatic process is ‘iron man’. The system certainly could stop the black market company at the first stage, build up a high technology, high intelligence, high strength and high density internet safety wall for users. About this activity in Baidu, the professor in the information safety area said: anti-black market needs the joint of every parts in society, especial the government and internet industry company. For example, cooperation needs to build up the list of negative online, risk test and prognosis based on big data, account safety system and so on.” To response this comments, Baidu safety department showed that beside the perfect inside process to stop black market and protect online users’ benefits, they also build up the cooperation with around 200 public security department all over nation. They have helped public security department crack down the off-line black market based on the test of base station and location system technology. The most fear thing for internet black industry always is the most advanced safety technology. At this time, Baidu has took the responsibility of “clear the black industry, protect netizens”, fully cooperate with national policy, strength the industry cooperation, aware the self-control of users. Within the development of internet safety, the internet black industry will be vanished. In the near future, netizens will be in a much more safety internet environment and use any online service without concerning. Why it become crucial to use Baidu’s SEO for your business in China ? NextHow can Italian luxury brands enter China digitally?